Have you ever wanted to use a book to introduce a concept, only to realize you don’t have a book that covers that skill? 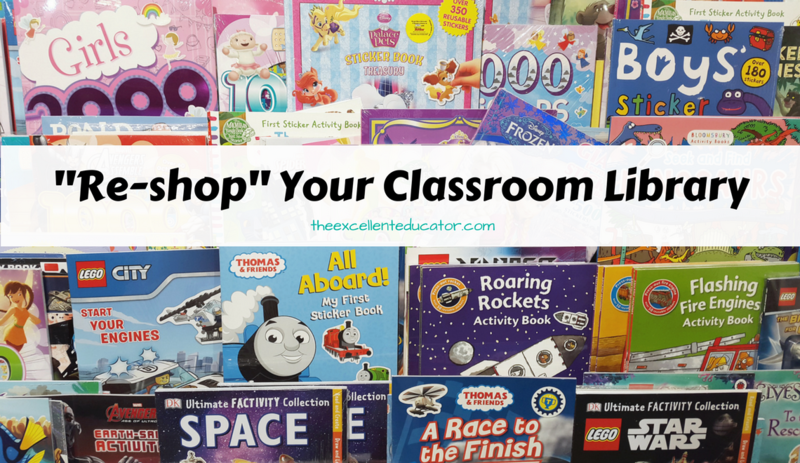 I want to introduce you to my idea of “Re-shopping Your Classroom Library” when you are faced with this dilemma. 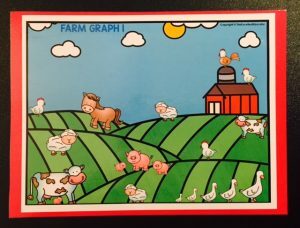 One of my favorite ways to introduce math concepts to young children is through using children’s literature. I found myself constantly looking for “math” books to teach the standards. It was a challenge to find the right book for the right skill I was focusing on. Whenever I did find the right book, it always seemed be conveniently out of my budget. This challenge caused me to get creative and “re-shop” the books I already had in my classroom library. If you are a fellow fashionista, then you know may be familiar with the term “shopping your closet” – which means to take a closer look at your clothes and pair together new outfits, out of what you already have. I applied this very idea to my planning. I decided to figure out ways to use my existing books to teach new concepts! Let me show you how I got started. I began with one of my favorite books, Click Clack Moo Cows That Type. I usually used this book to discuss farm animals or to talk about winter weather and heated blankets. My students also enjoyed the comedy behind the plot, so I transformed it into one of my go-to math books. 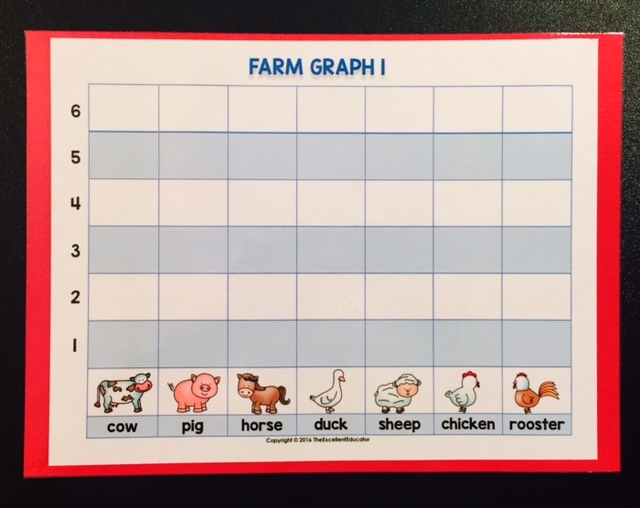 I used it to teach addition and subtraction, describing sets, graphing and even problem solving. See each of these ideas below and click on the links to download the activities. 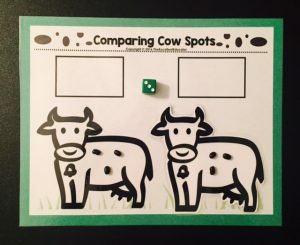 I created cow puppets for my students to use and we acted out addition and subtraction problems using the characters from the story. 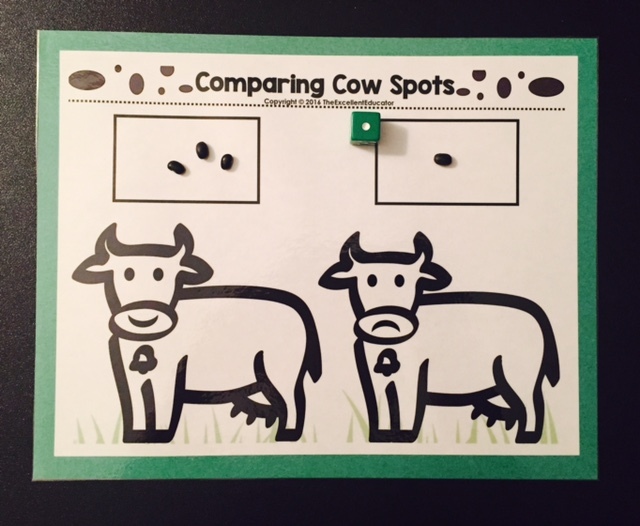 I created manipulative mats for my students to practice comparing sets using the cows that they loved from the story. 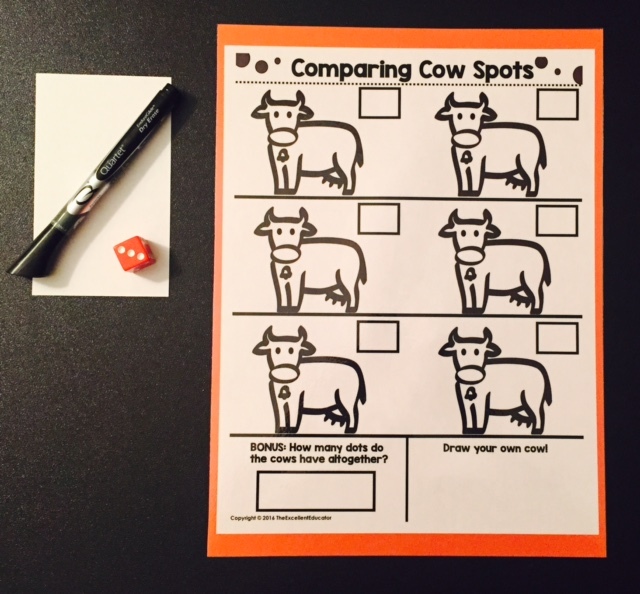 During small group, each child would get a comparing mat, an extra “happy” cow template and a handful of manipulatives. 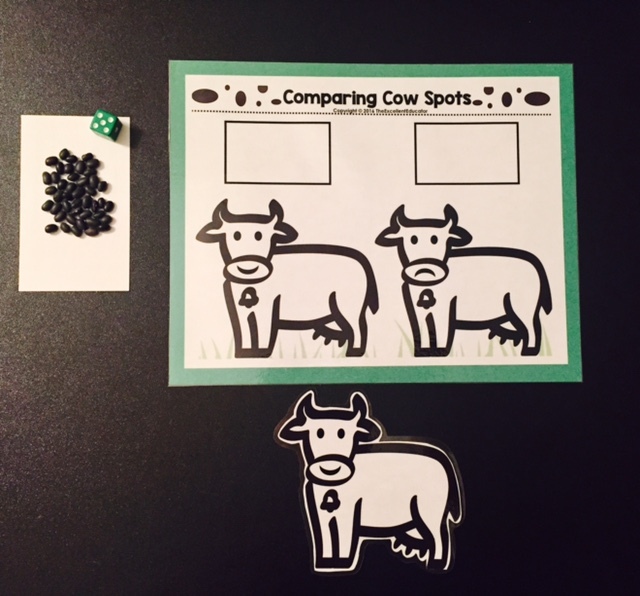 I used black beans and brown beans to replicate cow spots. We also had a dot cube. 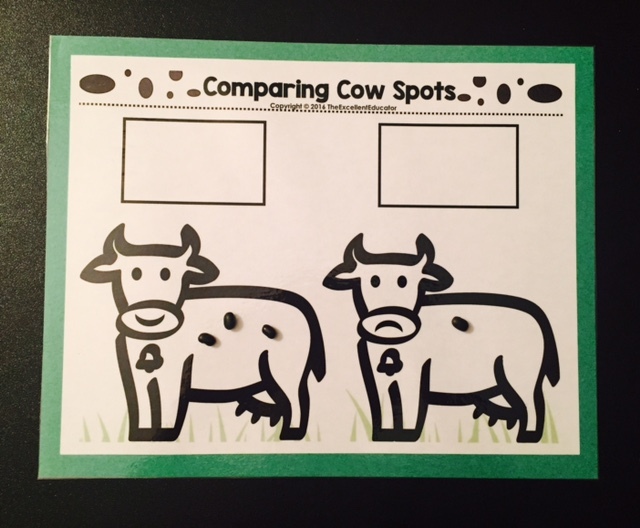 I explained to students that there is a happy cow on the mat and a sad cow on the mat. 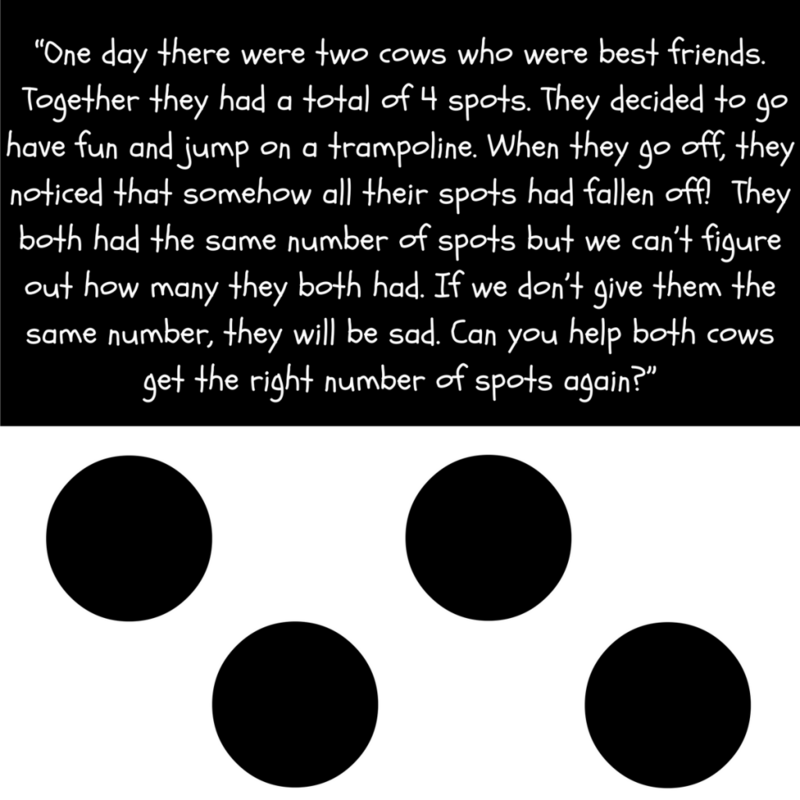 The happy cow gets more dots than the sad cow but there will be two happy cows if they both get the same number of dots. The students would roll the cube once and make a set to match the number rolled. 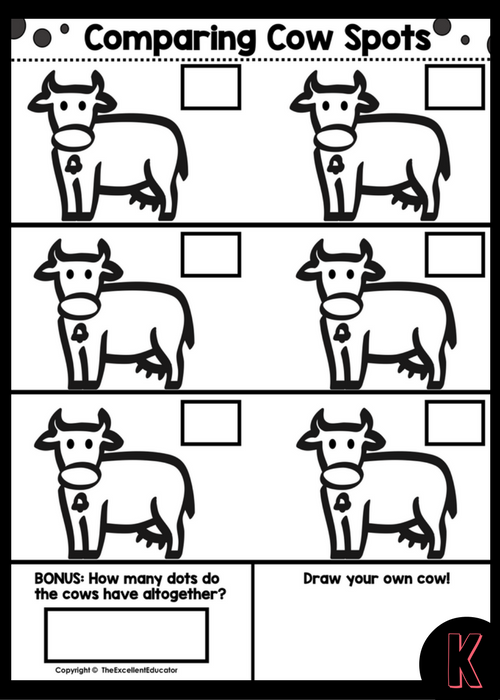 They would then place the set, in the box above the first cow. 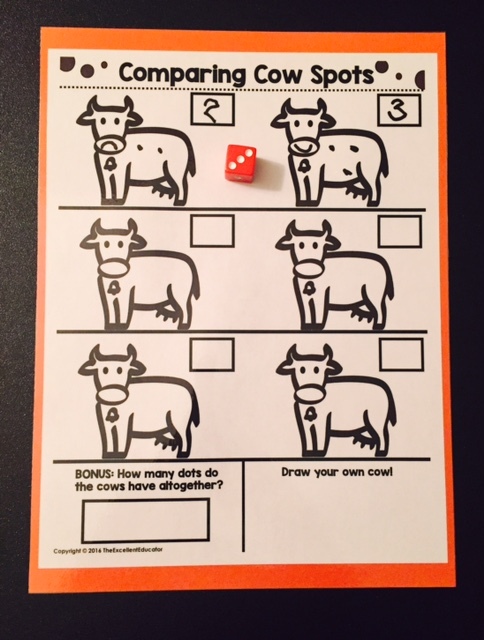 The students would roll the cube again and make a second set and place it in the box above the second cow. The students would then discuss which set was more and which was less. The set that was more, would be assigned to the happy cow and they would move the set that had less to the sad cow. 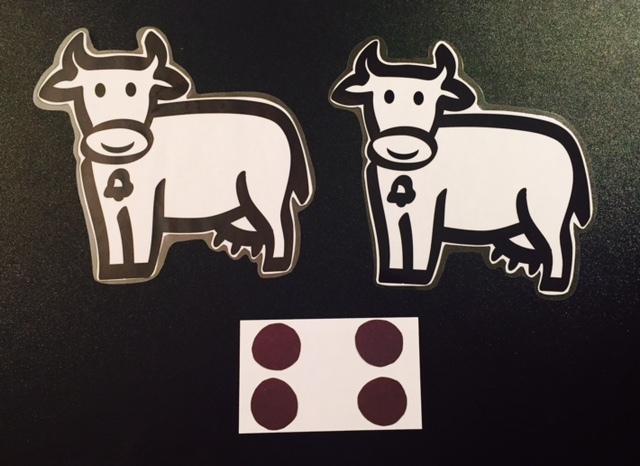 In the event that they rolled two equal sets, they would replace the sad cow by putting the happy cow template over it, and then assign the spots to each happy cow. 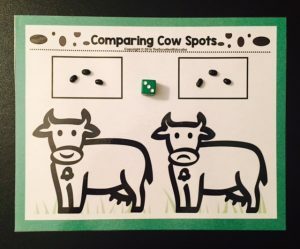 Once my students were familiar with this concept, I differentiated the activity to use as a review during my kindergarten math centers. My students would use a marker and a dot cube on this laminated mat. 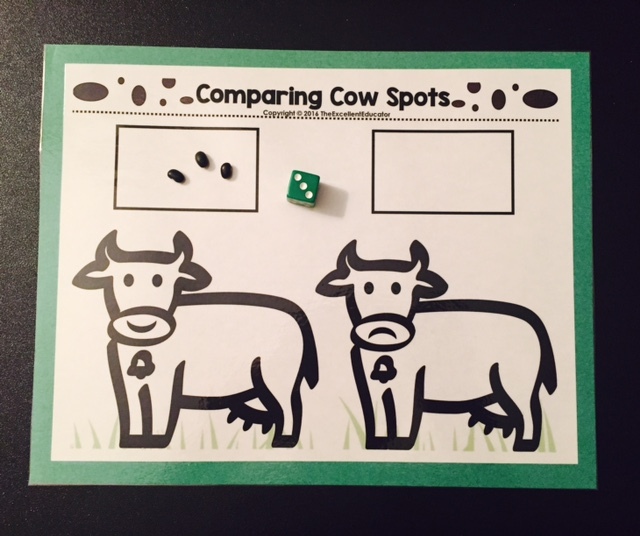 They rolled the cube and drew the number of spots they rolled on the cows and wrote the numeral above. 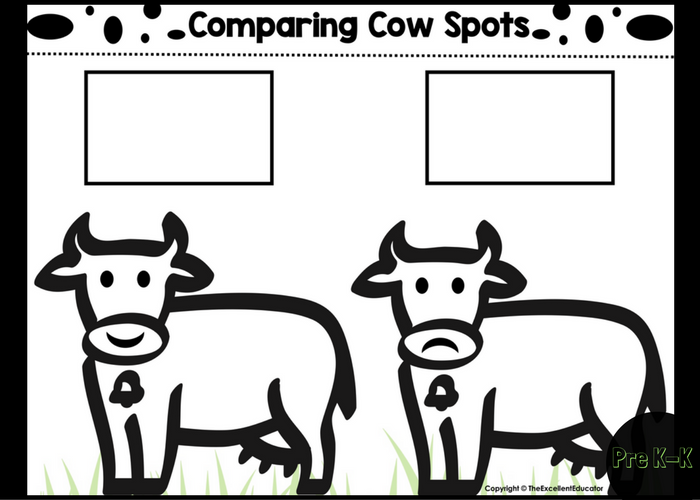 They added happy smiles or sad frowns to the cows after they compared the quantities to see which one had more or less. The cow with more was given a smile and the cow with less was given a frown. If the cows had an equal amount, they placed a smile on each cow! I also created a farm graph with some of the animals from the story so that my students could find how many of each animal were in the farm scene. 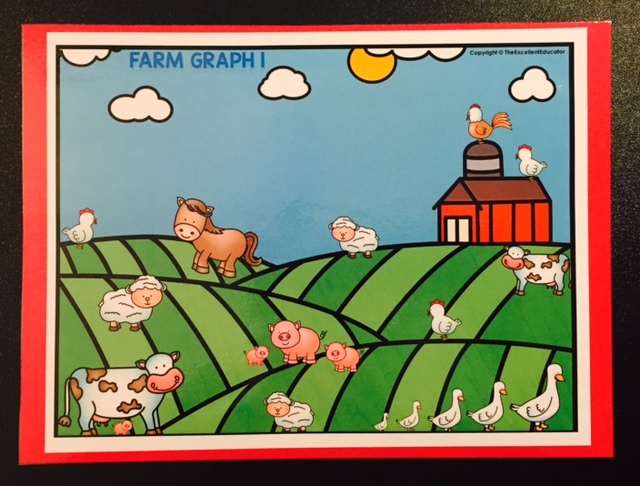 My students would use the farm scene mat along with the correpsonding graphing mat and buttons. 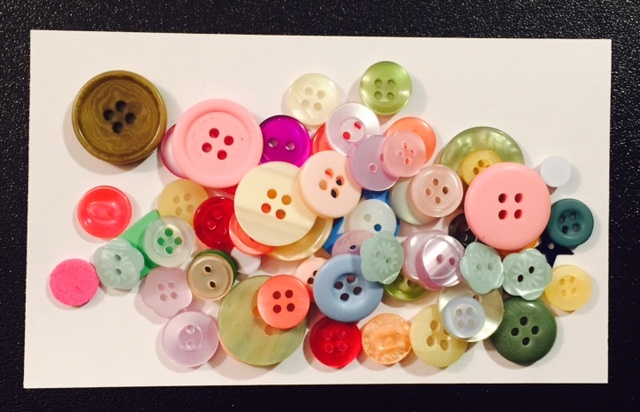 Once they decided on which animal they wanted to find first, they would place buttons on them to keep track of how many. (Using buttons is a strategy for children to count items only once. 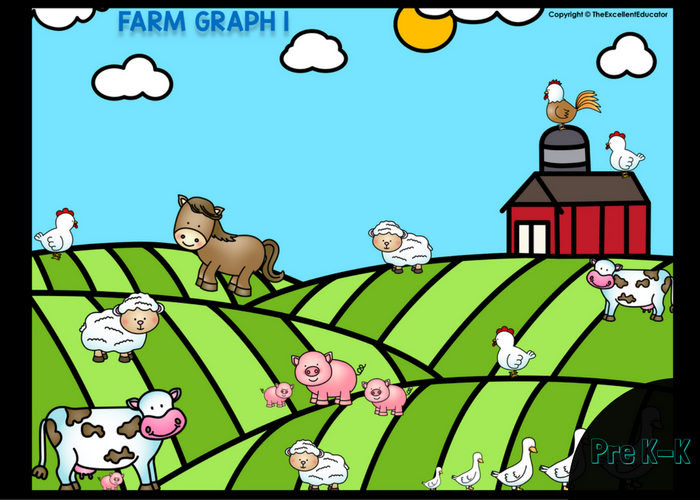 The more difficult graphs have higher numbers so showing children how to keep up with what they counted is suggested.) They would then slide the buttons onto the graph and tell how many they found. They would repeat these steps until they knew how many of each animal was on the mat. Find a bundle of these premium templates in my TPT store. Lastly, I used this book to introduce problem solving. 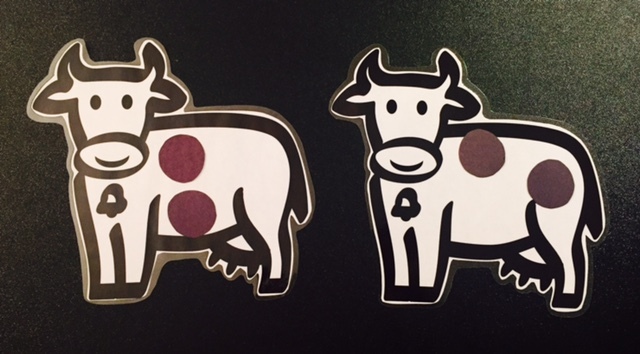 I used two happy cow templates and black circle cutouts. I gave my students a scenario and asked them for assistance in finding a solution for my problem. (Allow children time to think and make attempts. Even if they do not come up with a correct solution, it improves their critical thinking skills.) See the sample scenario below. Some years, there were times when one of my students would have a solution to the problem and tell me the answer and there were other times when they they struggled to figure it out. I used it as an opportunity to model problem solving and then introduced a similar problem on another occasion, to assess their ability to transfer the knowledge. The great thing about this re-shopping strategy, is that it works well with both familiar and new stories. Although it is great to introduce concepts you can use it to review also. I will use upcoming blogs for the remainder of the year, to show you other books I re-shopped, along with corresponding free printables and premium downloads. Stay tuned for the next edition! Try out some of the ideas and let me know how you add your own creativity to it! You are awesome! Thanks so much for sharing your incredible ideas with us! Thanks Tracy! It’s my pleasure to share ideas with you, so you can use them with your students! Thanks for taking time to leave feedback!